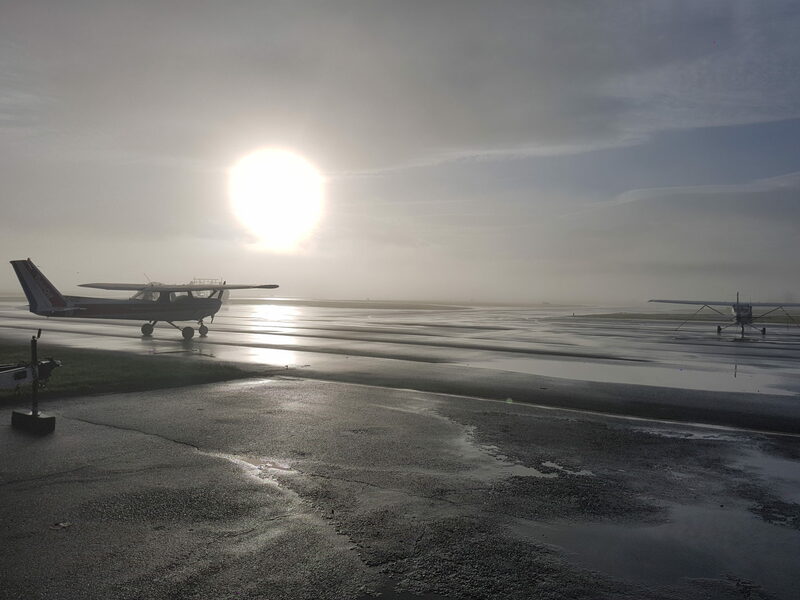 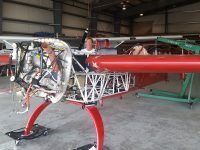 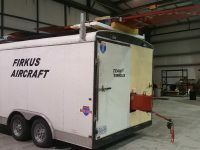 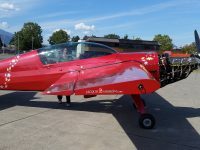 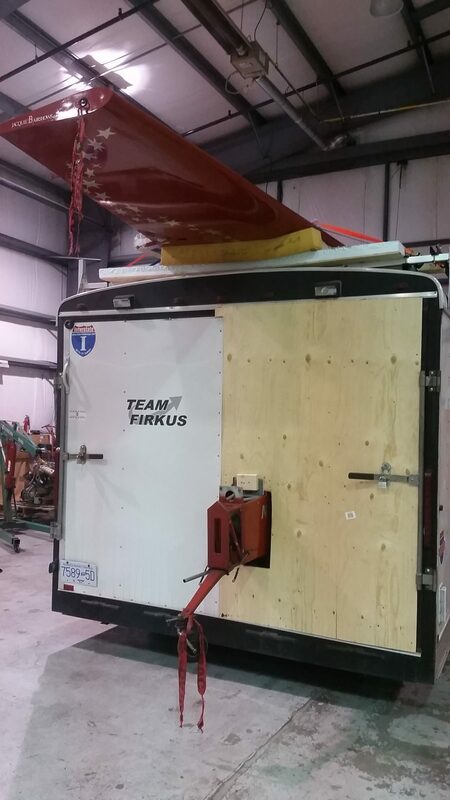 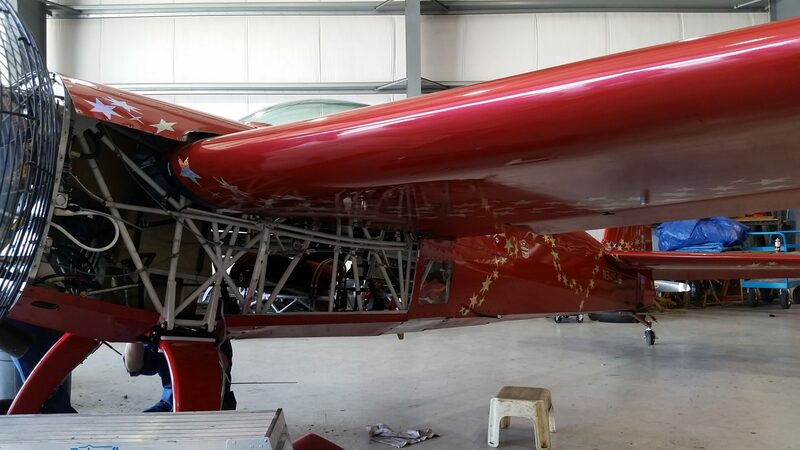 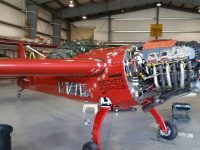 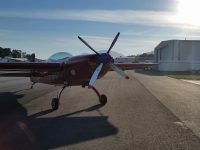 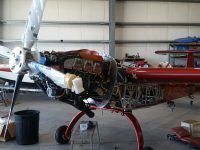 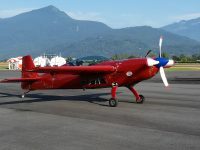 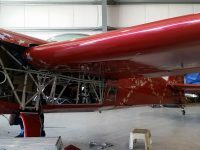 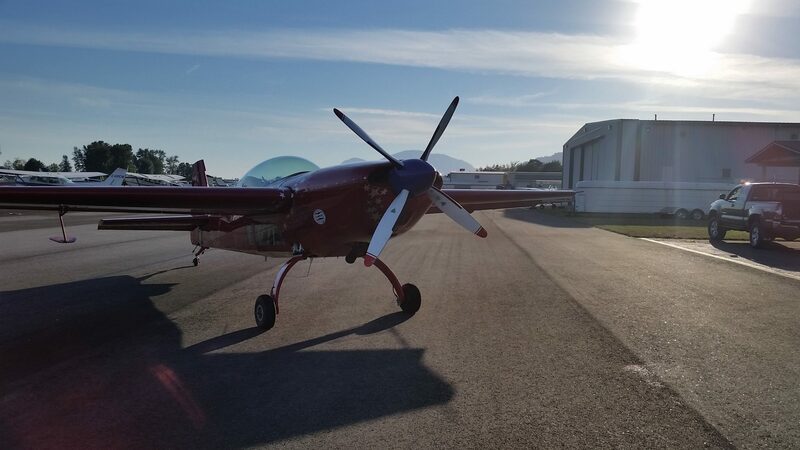 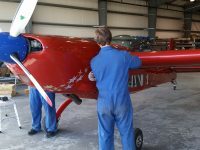 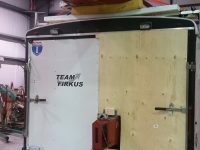 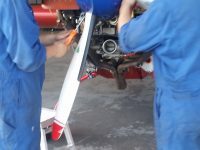 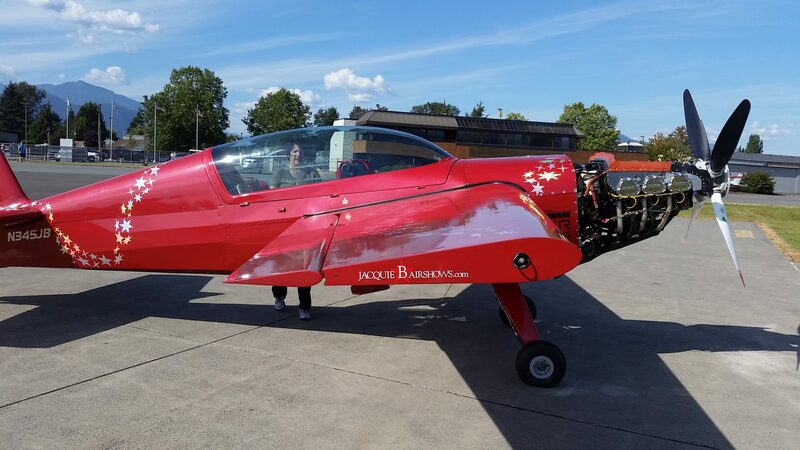 Firkus Aircraft - Here are some of our favorite photos. 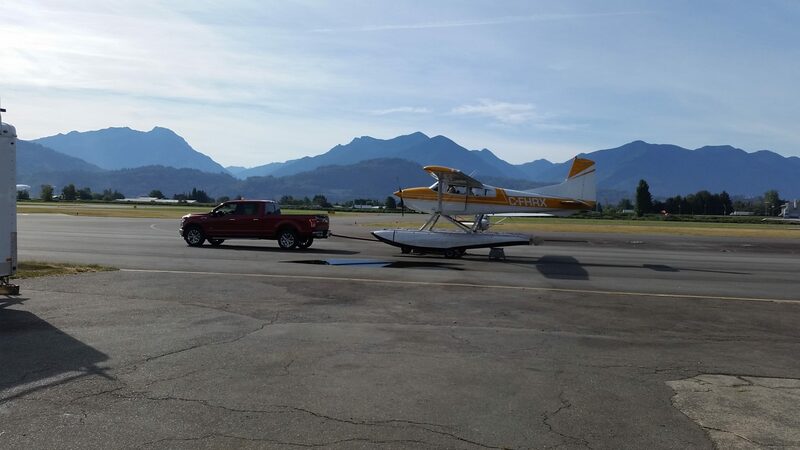 We are dang lucky to have such wonderful customers and an amazing spot to work out of! 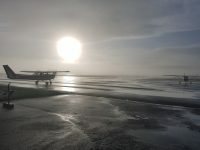 Here are some of our favorite photos. 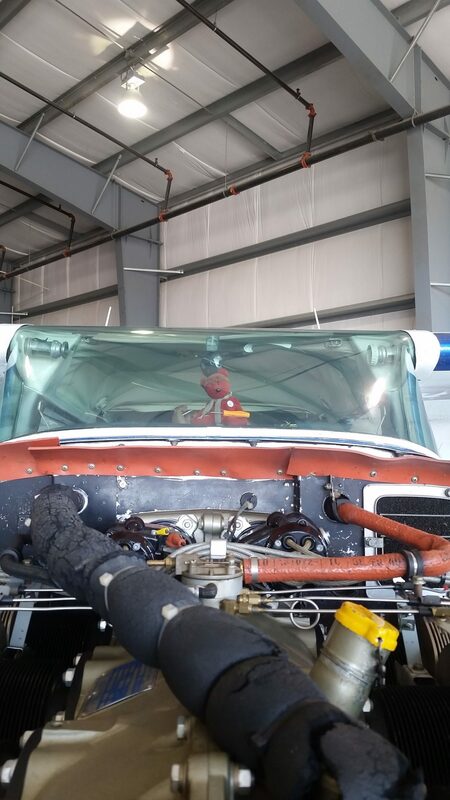 Glacier Bear, of Glacier Aircraft, working with his first screwdriver!! 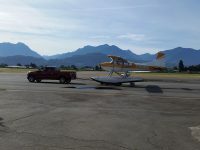 HRX taxiing out for launch, check out the video on our Facebook page! 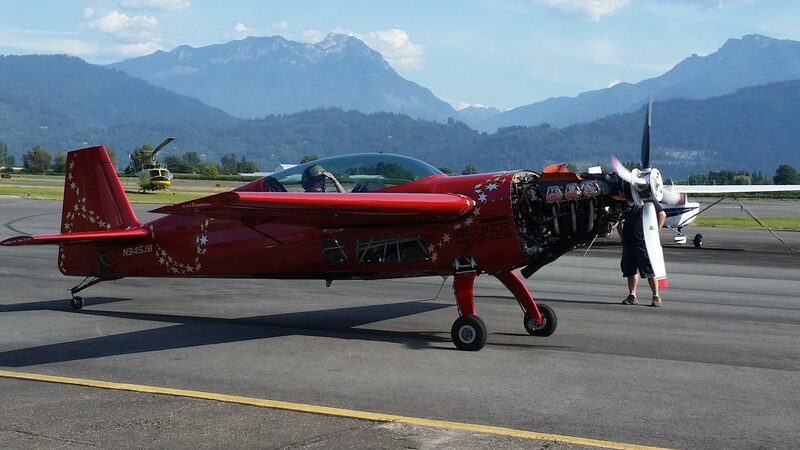 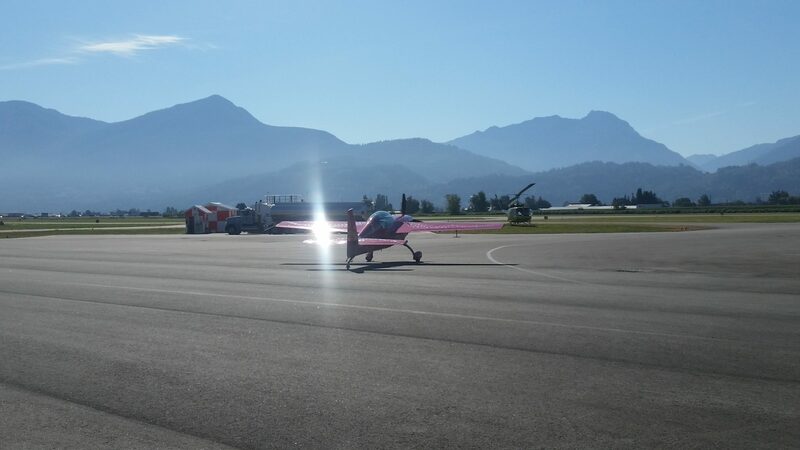 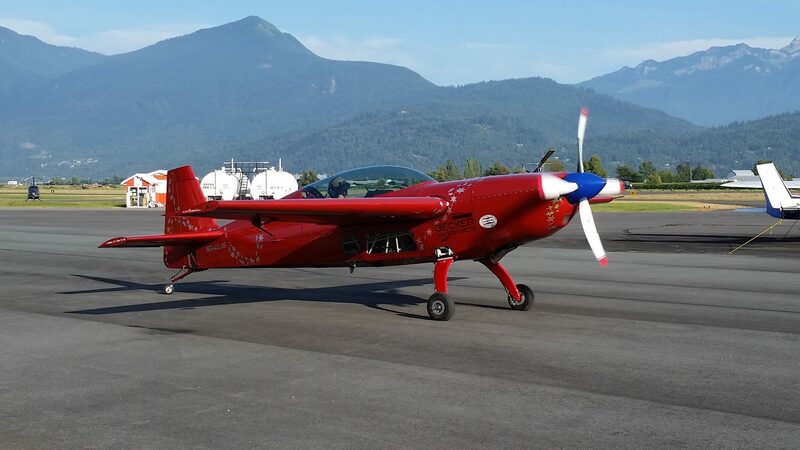 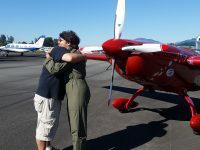 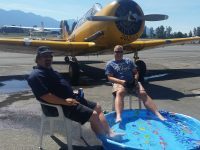 We love our local Chilliwack Flight Fest, not only for the fact that it is a free event for the community, but we get to meet some pretty awesome people too!! 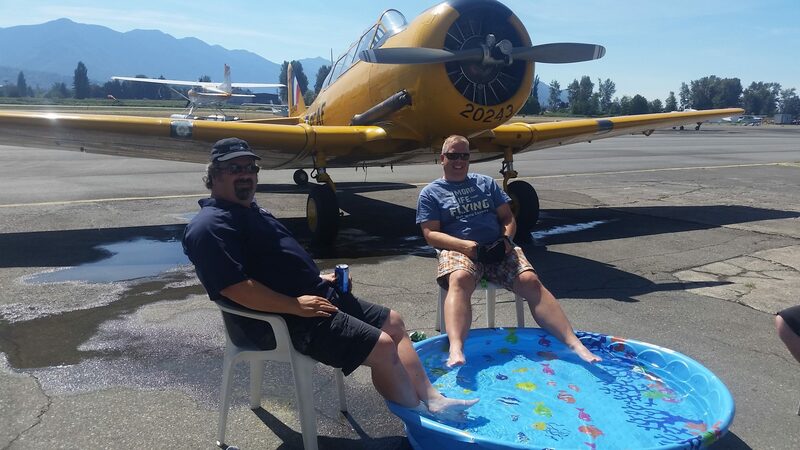 Dave and Drew Watson of Yellow Thunder enjoy our poolside apron after washing their harvards! 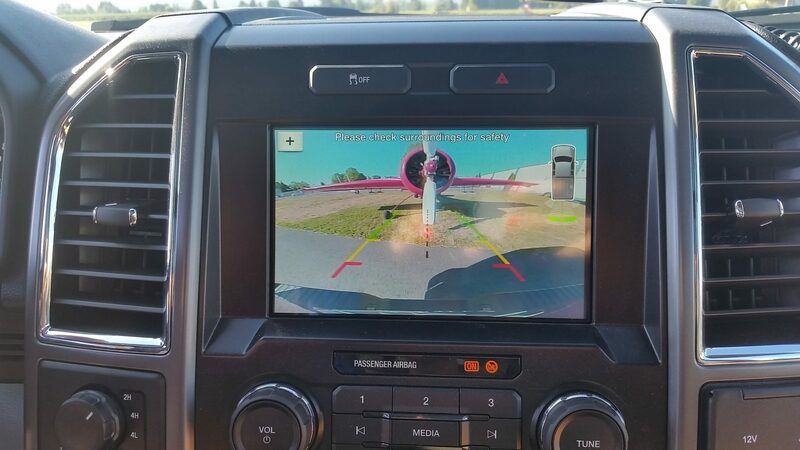 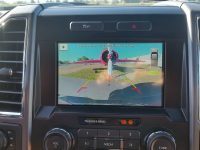 What type of aircraft have you had in your back-up camera?? 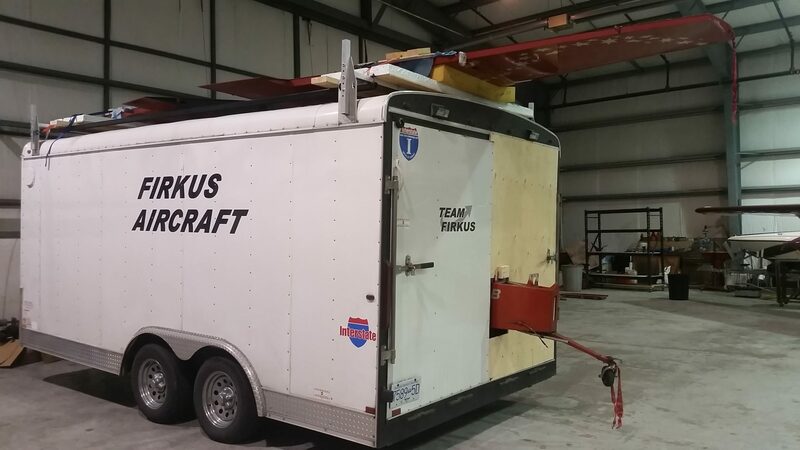 She’s ready to go! 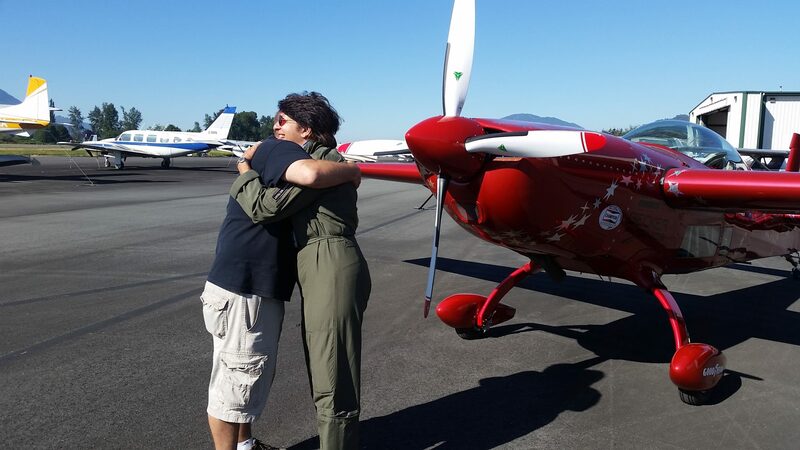 Spinner has been painted, many hugs all around and she flies it home! 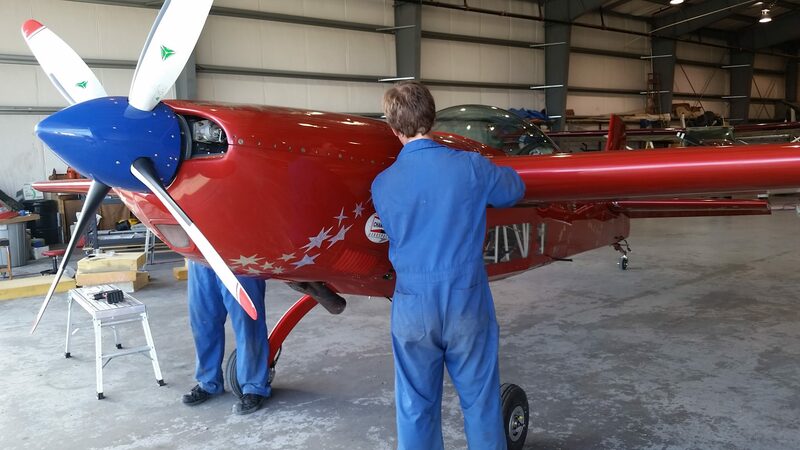 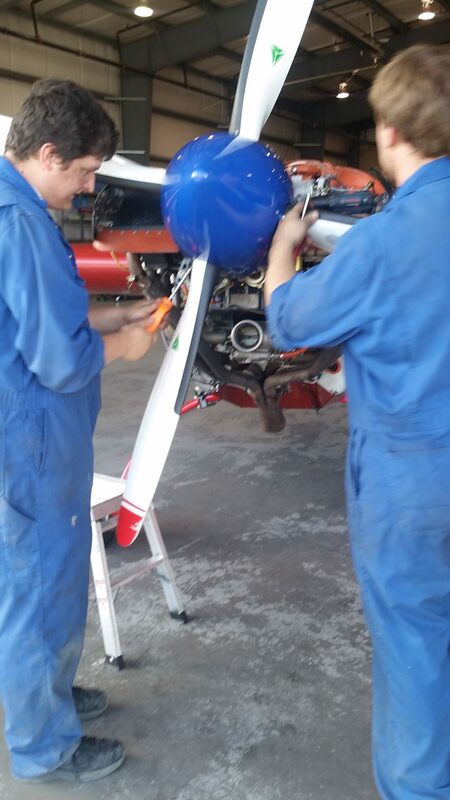 After the prop and cowls are put on, it’s time for the first test flight! 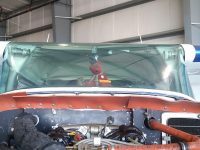 Panels are attached and the first run ups and high speed taxis’ are about to commence! 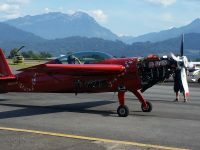 This is how the poor aircraft arrived, wings on top, fuselage inside.